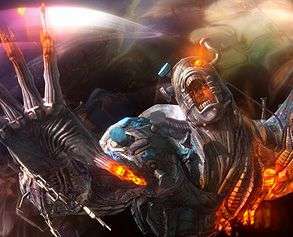 Final Fantasy XIII had one of the longest development periods of any of the games in the franchise, with development beginning back in 2004, the game being announced two years later and the game released three years later still. To some fans of the franchise then, it may have been a surprise when a direct sequel to the blockbuster RPG was announced in January this year, and more surprised still when it was recently announced that the game would be seeing a release as soon as the first quarter of next year. Amazingly, I was given the chance to sit down with Adrian Arnese, Square Enix’s Senior Brand Manager, and ask him some questions about the forthcoming sequel. Thank you very much for taking the time out to talk to me! You’re the senior brand manager for Square-Enix, so how did you get into that? Well, I’ve personally been in the the industry for around, ten or so years, I’ve always worked in the brand management, marketing and publishing area, I’ve always been a massive gamer; I think it was the gaming love that led me to kind of apply for many jobs and eventually work for Square-Enix. Square’s a company I’ve always wanted to work for and work with so it’s great to be here and awesome to be working with these games. This is only the second main Final Fantasy game to receive a direct sequel, what about XIII do you think helped reinforce the need for a second part to the story? I think with the original Final Fantasy XIII game, there was such a rich universe that was really kind of ripe for exploring further. 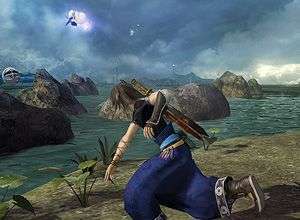 Whilst Final Fantasy XIII was a fully complete game in its own right, fans really wanted to see more of the story, they wanted to understand more about Lightning and the other characters and also know more about that underpinning mythology, the Fabula Nova Crystallis mythology, so from a creative point of view it really made sense to explore further and, without wanting to get into it too much, there’s an obvious sort of business angle as well, where it’s good for the company as well, to kind of explore that universe as well. It was quoted after the release of the original that there was enough leftover content to make a second game, so when the developers went into making the second part and knowing there was so much content leftover, would that have helped focus the design? I’m not really sure about that, I think many games in development think ‘Oh, it’d be great to put this in, et cetera’, but they run out of time or whatever reason there is, and while that may have been the case with XIII, as with any other game, many of the ideas left on the cutting room floor, so to speak, would had have to have been reworked in such a way anyway that with XIII-2 it simply made a lot of sense to start the development pretty much from scratch, but using the same overall look of the characters and the same kind of graphics. That’s pretty much where it begins and ends; the development of the game started when Final Fantasy XIII was released. So the game takes place several years after XIII, how difficult is it to return to the same world and find new ways to make it feel fresh for those who’ve played the original? I’m not sure I can go into all the details, unfortunately, as I’m not a developer, but speaking as an employee of the company we have some extremely talented people within the organisation who work extremely long hours, work really hard, and have big teams working on the projects as well. From the conversations we have internally and on the publishing side, we know the team works very hard to ensure that kind of consistency with the universe, and we work very hard with the team to make sure that consistency is put across on the publishing side as well. There are multiple endings present in the game, which isn’t often seen in Final Fantasy games or big RPGs like this, do you know if was an idea that was from the beginning or did it come about later on? How much does your experience alter when you go through the paths, are they completely different experiences? Let’s talk first of all about the philosophy behind the endings; it’s great that you picked up on the multiple endings, it’s something that is a kind of sub-feature within an overall design theme, which is related to freedom and choice making. This time around the development team was very focused indeed in trying to create an experience that offers more freedom and choices to the player. Having said that, there’s still quite a strong narrative thread running through the game, as is the case with Final Fantasy generally speaking. We do offer a lot of choice, but don’t necessarily have a complete freedom experience, or completely unique playthroughs, aka different stories, but the game is certainly free in that there’s multiple endings. We’re not saying exactly how many there are yet, but we hope gamers will like that when we do come to reveal that information that they’ll be nice and positive. And the ways in which people can get to those endings, there’s going to be some challenging conditions to get to all of the different endings. You may be aware that recently announced was a very important time travel feature within the game, which is activated by this Historia Crux mechanic, and this, combined with a New Game Plus style mechanic and gameplay, is really there to encourage multiple playthroughs, a lot of exploration of the different time and spaces, so that people can see not only all of the multiple endings on offer, but all of the content as well. But we’re talking a lot of content for people to get into. The “Live Trigger” allows players to have branching conversations with other characters, how much does that change the way dialogue in the game is approached? Live Trigger is a system that gives the player different options to choose from in some conversations. The option that the player chooses will give a varying type of assistance in the player’s decision making. Like in the demo we have on the show floor, the responses given to the player will give a different recommendation to complete a primary objective right away, or look into a secondary objective that can further influence the primary objective’s outcome, or picking up certain other items that appear, and also knowing more things about the back-stories of characters in the universe. During battles there’s now the ability to perform context-sensitive Quick Time Events, do you feel that allows you to change the dynamic of the battle system and provide a new experience to franchise veterans? I think the battle system in Final Fantasy XIII was pretty widely well received, so with XIII-2 we didn’t want to completely rewrite that. However, because it’s a follow up and because one of the goals for the project is to exceed the quality of the original game, features such as the cinematic action have been added. Cinematic Action particularly is there to do a couple of things: firstly it gives more variety to the player so they’re not solely selecting actions via a menu system. It gives an added level of control type for the player to get their teeth into, and with our talented artists within in the team it gives some great visual effects as well; there’s some really great cinematography and special effects on show with a lot of the Cinematic Action events. Another thing with the Cinematic Action is that sometimes players will be given a option to choose a certain type of response. It’s not all about hitting the right button at the right time, or mashing the right button, sometimes there is a choice and that will play out differently in the event scene as well. From the builds available in the demo stand, there’s the ability to have beasts aid you in combat, so I had Chocobos and Cait Siths, which is something that happens a lot more than in Final Fantasy XIII. Was that an idea that the development team wanted to expand on in the sequel? With the Monster Recruitment and using them in battle, the idea really stems from the early development of the XIII-2 project, and goes back to those key words of freedom and choice for the player. And because we wanted to give the player more freedom and choice over not only the path they might take in an environment, or what ending they’re going for, but also applies to the battle system as well. The Monster Recruitment is a really important reflection of that, giving players more freedom of choice in how they play their game. With the system, there’s over 150 monsters that can be recruited throughout the course of the game. They all have different strengths, weaknesses, capabilities, looks et cetera, different special moves and sometimes there’s some pretty challenging conditions for getting some of those monsters. Players will really have to explore the world to its fullest to get some of the rarer and cooler monsters, it’s kind of encouraging that additional replay, it’s encouraging that exploration, and exploration and adventure is what Final Fantasy is about. I’ve also noticed you have something called the Anomaly System, which adds a puzzle element to the gameplay. Was it difficult approaching that idea and adapting it into the sequel in a way that made sense and kept the flow? As far as the difficulty in producing that concerns, I’m afraid I can’t answer that fully as I don’t work on the development side and as such I don’t know all of the intricacies, but I know they’re working very hard to make it as good an experience as possible. I’m sure some challenges have come up along the way with making that element be in the game and making it work. It’s the reason why those puzzle elements are in the game is kind of to provide further variety to the gameplay. One of the concepts behind the series from a gameplay function is to make it a bit like a chocolate box with many different flavours to choose from, and the injection of these puzzle elements into XIII-2 is the reflection of that overall idea. It gives more variety to the player, it gives them another way to interact with the experience in order to progress, it gives them something to think about besides exploring and fighting monsters. We think it adds another layer to the game and hopefully people will really enjoy it. Once again, I’d like to thank Adrian Arnese for taking the time out to speak to me, and Final Fantasy XIII-2 will be available in Europe for both the Xbox 360 and the Playstation 3 on February 3rd 2012.